Last season’s geraniums owe their life to this antique volume. Every year I dread the task of pulling out the potted gardens and tossing away the plants I can’t squeeze onto the windowsill or rationalize the possibility of overwintering. 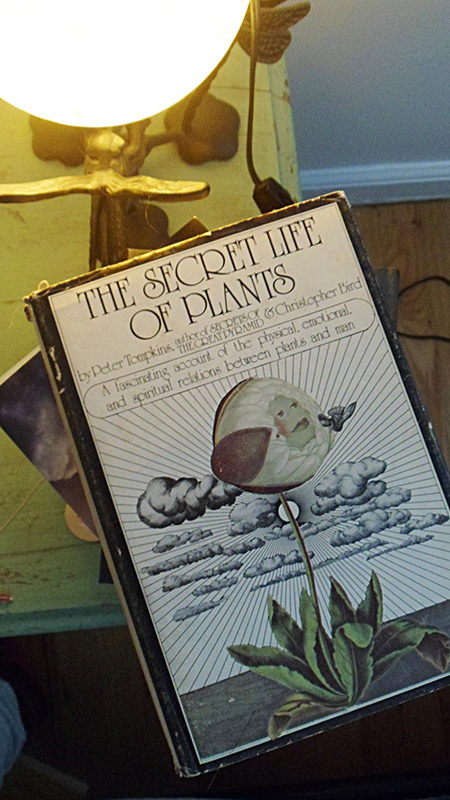 When a friend loaned me this old copy of the 1973 book I suspected it could be dangerous, making the case for plants as more sentient being that not. Top of my winter reading list, my fears are justified. And yes, my teeny foyer is packed with all manner of geraniums and ivy wound topiaries, etc., sheltering from the most frigid of winter’s days (like today) and out on more temperate days for a quick shot of the sun’s life affirming rays. 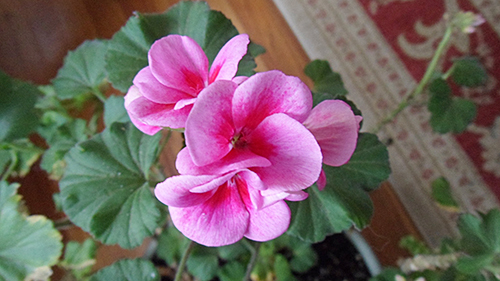 Here’s the reward, bright January blooms from a grateful resident. Apologies to those who’ll need to step through the foyer forest for the next couple of months while these guys wait to take up residence outside for spring and summer.